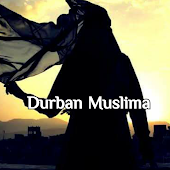 Durban Muslima: Live broadcast tonite... not to be missed! As Salaamu Alaykum Wa Rahmatullahi Wa Barakaatuhu. Sirius FM Broadcasts in the East Rand in South Africa on 105.7 MHz and to more than 120 Countries around the World via Live Audio Streaming! Sharing the Beauty of Islam!